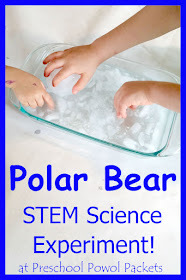 It's Polar Bear Science Experiment Time!! 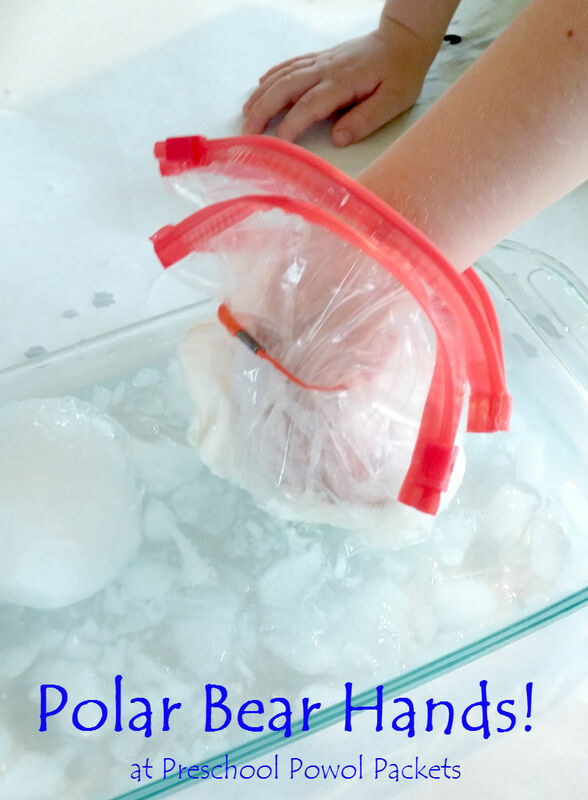 This science project explores cold and insulators to understand better how bears survive and thrive in the frigid arctic! Awesome science and STEM for preschoolers and older kids! Temperatures in the arctic are often below freezing (32 degrees Fahrenheit) for months at a time, and yet the amazing polar bears continue to hunt, eat, and sleep like normal all year round! Polar bear's internal body temperature is the same as our's--a balmy 98.6 degrees Fahrenheit! Two of their heat-conserving tricks include thick layers of insulating of fur and blubber (or fat). The blubber can be more than four inches thick! 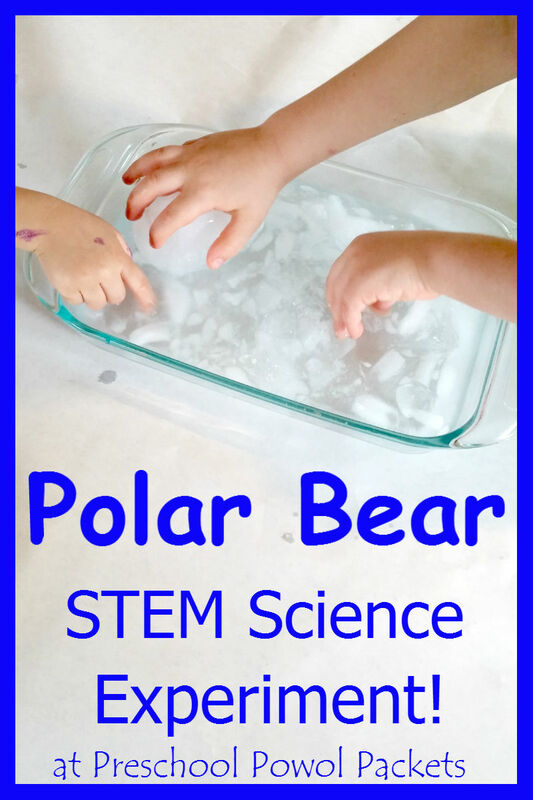 Try this STEM science experiment to get a better idea of how blubber helps insulate polar bears and other arctic animals! 1- Place your hand inside one of the baggies and use an elastic band to make it air/water tight. 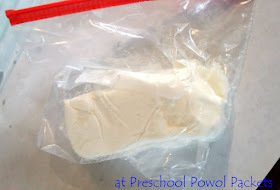 2- Fill another baggie with shortening, and place your baggie-covered hand inside the shortening. Secure the shortening-filled baggie to your hand with an elastic as well. This represents the blubber on a polar bear. 3- Place your polar bear hand and your "normal" hand in the ice water. Can you feel a difference in temperature? 4- Have a friend use a stop-watch or other timer to see how long you can comfortably leave each hand in the water. 5- Repeat the experiment using other insulators in plastic baggies. Compare the time you can comfortably leave your hand in the ice water with each material! 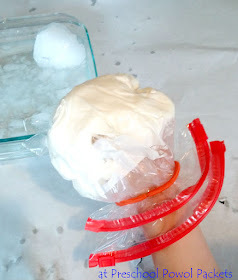 Are you doing an Arctic Animals Theme with your preschoolers (or older kids!)? If so, be sure to check out my Arctic Animals Theme here!! 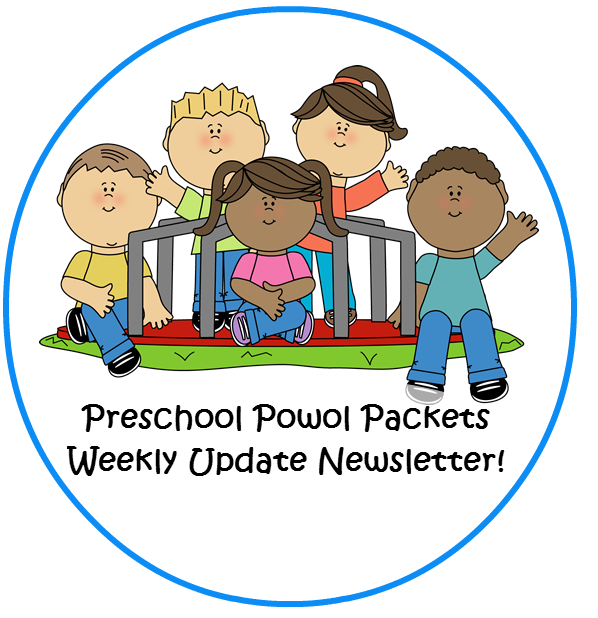 It has free printables, games, literacy activities, and more! Do you have your next science project planned? 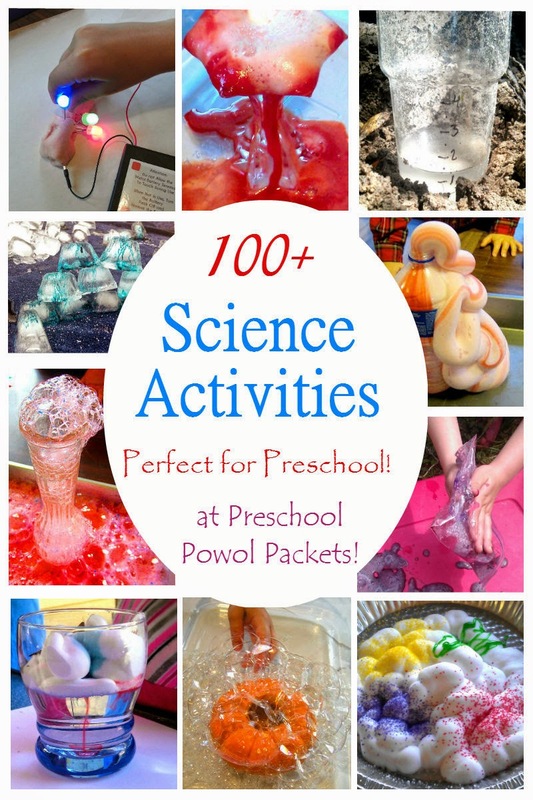 I have over 100 science experiemtns and STEM activities and projects for you!! Check them out here! Never miss another post again! Sign up for our weekly updates newsletter and get links to all our posts once a week in your inbox! Sign up here! !